Choose the best price and services that fit your needs - 0% obligation! What Type of Auto Glass Should I Buy—Dealer, OEM, or Aftermarket? What is the difference between OEM and OEE auto glass? The need for windshield crack repair can result from a variety of events. 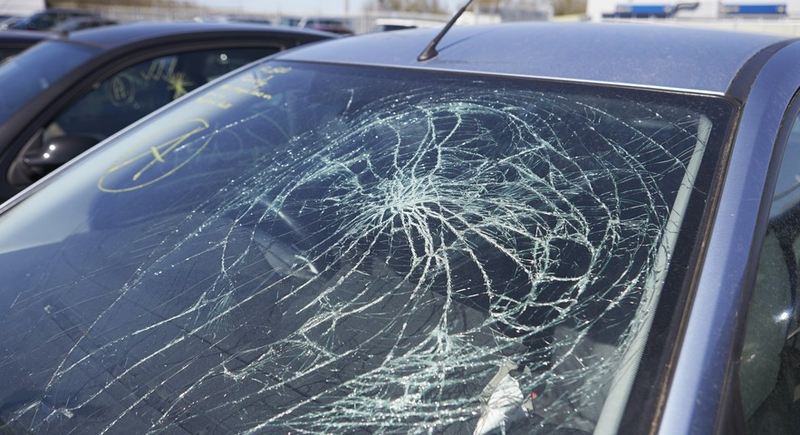 Natural elements such as ice, wind, and hail can cause objects to be thrown into your front or rear windshield. Unfortunately, the natural elements aren’t the only possible culprits of windshield glass damage that can cause cracks. Auto theft, break-ins and attempted break-ins can also cause destruction to your auto glass. These circumstances can cause any degree of damage, ranging from one small crack to multiple cracks spreading across your front or back window. They say 'a stitch in time saves nine'. Seemingly, even the smallest cracks can spread fast on a car's windshield – more so, in extreme weather conditions the crack may spread even faster than expected. Windshield crack repair becomes a dire necessity at this point because it can significantly obstruct your vision. This can lead to an unsafe driving experience for both yourself and others on the road. Not only is windshield crack repair crucial to seeing clearly while driving, it is also a life-saver. Windshields comprise a large percentage of the vehicle’s cabin strength. This means it is not only intended to keep rain, bugs, and dirt out of your face, but it also serves the purpose of minimizing the chance that you get ejected from your car, SUV or truck. Don’t wait to start repairing your windshield crack. It will undoubtedly save your life and it will save you money. Get three free quotes from local repair shops via the button below or the form at the top of this page. Windshields are susceptible to cracks and breakages because manufacturers produce toughened auto glass under enormous physical pressure. Please remember that because auto glass is very high in molecular density, this obviously causes cracks to spread rapidly. In short, even minor cracks in an auto windshield can lead to major repairs or replacement. Should I Repair the Crack or Replace the Windshield? There may be occasions when you may have to decide between repairing your windshield crack and replacing the entire window. Auto windshield replacement may be more expensive but sometimes unavoidable. The only practical alternative is to repair the windshield crack. The fact is also there that most of the insurance companies today will accept a windshield repair claim. In fact, many insurance companies would even prefer to waive their client's deductible if they prefer to repair the crack in the auto windshield rather than replace the glass. Yet another positive piece of news is that large auto glass cracks can be repaired. There are new crack repair solutions for auto glass known as PRISM (pre-resin injection suspension method). This technology involves a number of techniques that include the injection of different resins into the windshield's crack. Today there are service technicians that are fully trained and capable of repairing/replacing windshields and all other forms of auto glass. Windshield crack repairs can invariably be completed within an hour and most of these repairs are covered by insurance companies. Unfortunately, windshield repair may not be feasible for large cracks. If such a thing occurs, the only choice the auto owner has is to replace the vehicle's windshield. Auto safety norms stipulate that any motor vehicle should have a proper windshield free from scratches or cracks. This is understandable as the driver's vision is important to steer the vehicle effectively.